​You received an invitation to a baptism and you are wondering what to give as a baptism gift. We have great baptism gift ideas here at the Catholic Faith Store, come on over and take a look! Whether you are a practicing Catholic or simply a friend of the family that isn’t particularly religious, there is no need to stress when it comes to selecting an appropriate baptism gift. A baptism is a wonderful celebration of faith and family! When we celebrate a baptism event either by attending the church ceremony or simply attending the reception we should keep in mind the meaning of the sacrament. We are welcoming the infant (person) into the Church and into Christ. We are reminded of Christ’s own baptism in the river Jordan by John the Baptist. It is with these thoughts and teachings in mind that we make our selection for a baptism gift. ​What to buy for a Baptism? ​Jewelry can be an expensive baptism gift ​idea, especially if it is made from 14 karat gold or .925 Sterling Silver. Often these gifts are kept and worn throughout the child’s life, on their First Communion day, on their wedding day and even handed down to their own children. But not all jewelry needs to be expensive to be cherished. Look through the baby jewelry choices and pick a style and price point that’s right for you. ​An infant or baby sized cross pendant is a piece of jewelry that can be worn over and over again throughout the child’s life. When we wear a cross or crucifix pendant we show the world that we believe in the Lord, the crucifixion and the resurrection! ​Consider gifting the baptized baby a shell pendant, or any item that has a scalloped shell motif, as it is very apropos for the special occasion. During a Catholic baptism ceremony the priest will use a shell shaped form to pour water on the child’s forehead. The shell symbolizes the Baptism of Christ by John the Baptist. The three drops of water are a symbol of the Holy Trinity – The Father, The Son and the Holy Spirit. ​​A bracelet for the baby is not as popular as a pendant, but is a great baptism gift ​idea as it can be worn often and stored as a keepsake. Our favorite baptism bracelets are made with pearls and sterling silver beads and dangle cross or Miraculous charms. These baby bracelets are so very elegant. ​​A​ baptism gift idea for a girl can be as simple as a pair of delicate earrings. Keep the religious aspect of the gift in mind by having the earrings in the shape of a cross, a scalloped shell, a dove or even a cute set of praying hands. ​​​Although an infant will be far too young to use the rosary, it is kept as an important sacramental and keepsake. A baby rosary can have very small beads made of glass with silver-tone centerpieces and crucifixes. Or you can select a wooden children’s rosary with much larger beads. When the child is old enough to learn about the rosary and begin the prayers of the Hail Mary and Our Father, they can use their own beads to pray with. ​​​​A children’s bible is typically a smaller version of the bible with small print and the New Testament only. 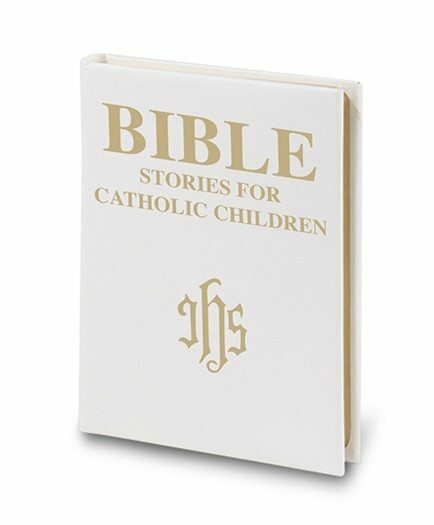 Some children’s bibles can be found in simple hardcover versions, others have lovely fabric and lace covers and some even still can be personalized. ​​​​​There will be so many wonderful memories made on the baptism day and the child’s parents will want to remember them for a lifetime. Giving a photo frame to display and keep special moments of the baptism is not only practical but a cherished keepsake. ​​​​​​As the baptized child grows in age and in faith, a book of saints will be looked at and read many times. Children will learn to appreciate the special nature of saints and their remarkable lives, seeking their intercession in times of need. ​A statue of a Guardian Angel, a statue of the Virgin Mother, a Jesus statue, or a Patron Saint statue can be placed in the child’s bedroom and once blessed by a priest becomes a life lasting sacramental providing a way to receive grace. ​A children’s wall cross or crucifix is not only a lovely room décor accent; it is a constant reminder to our children of the importance of prayer and the Lord’s undying love for us. Having the wall cross personalized with the child’s name and baptism date is also an option. ​​Where to keep special jewelry, rosaries and lifetime mementos? In a keepsake box of course! Choose a keepsake box that the child will be able to use for many years to come and has a religious meaning to it, such as a box top designed with a cross or the image of Mary or Jesus. ​Gifts of cash or savings bonds are considered by some to be a gift of last resort or downright bad etiquette, but that shouldn’t be the case. Many parents are grateful for the monetary gifts as they are often set aside for the child’s future expenses such as a college education fund. Always present your monetary gift in a pretty baptism card. As a quick addition, not all baptism gifts are for infants or toddlers. Adults get baptized too, often during an RCIA ceremony. If you are looking for an ​RCIA (Rite of Christian Initiation of Adults) or a more adult baptism gift idea, many of the ideas above will still apply although you will want to adult version. An adult cross pendant of crucifix pendant, a wall cross or photo frame, or a rosary are all very suitable gifts for welcoming a person into the Church. In lieu of browsing through a local Catholic gift shop, as they are unfortunately getting harder and harder to find, you can search the internet and find many wonderful baptism gifts. If you really aren’t sure about your decision, don’t hesitate to call the online store and speak to a representative. 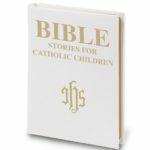 At the Catholic Faith Store we really enjoy helping people find a great baptism gift idea.